The wind blows frozen wisps off snowdrifts, where they're caught in the decorated grooves of a cold, iron bridge leading to the broken gates of Sescheron. Where once the sights and sounds of a bustling city could be found, now there are only the distant howls of madmen, glimpses of hungry beasts prowling in shadows, and air thick with the palpable weight of shattered hope. Sescheron was once a living symbol of united Barbarian tribes. Its gates guarded the lone path to Sanctuary's most precious treasure, the Worldstone, and the Children of Bul-Kathos were tasked with defending those gates. They had done so unerringly for countless generations. It was believed that the city would never fall, and the people of the Northern Steppes would always stand vigilant. In its final days, Sescheron was ruled by Chief Elder Kanai, who was not only loved by the people, but being considered to sit upon the Immortal Throne. Such a high honor had only been bestowed upon two others in the past, including Bul-Kathos himself. To this day, all who dare enter the ruins are met with a gruesome reminder—some deeds are so evil that their stains never wash away. . . . When Baal, the Lord of Destruction, marched an army of the Burning Hells upon Sescheron, he was met by a lone emissary who denied him passage. Infuriated, Baal took matters into his own hands, and summoned demonic forces to tear the emissary apart. The first blow of the battle had been struck, but more blood would spill before it was over. Chief Elder Kanai and his people stood their ground against the impossible flood of Baal’s army with every fiber of their being. In the end, however, evil prevailed and the warriors of Sescheron fell. All that was left of the city after Baal’s passage was shattered ruins, the hopeless madness of a failed people, and the cold, empty shadows of a once mighty civilization. 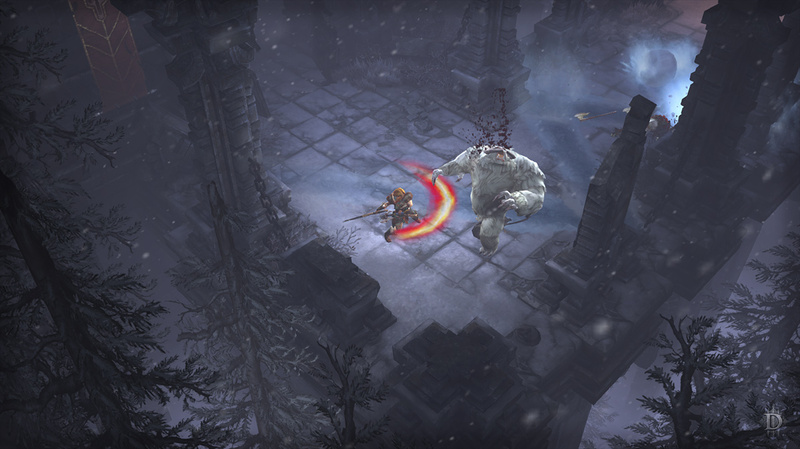 The Ruins of Sescheron can be found by opening the Act III Adventure Mode map, and selecting the newly added waypoint in the upper-right corner. 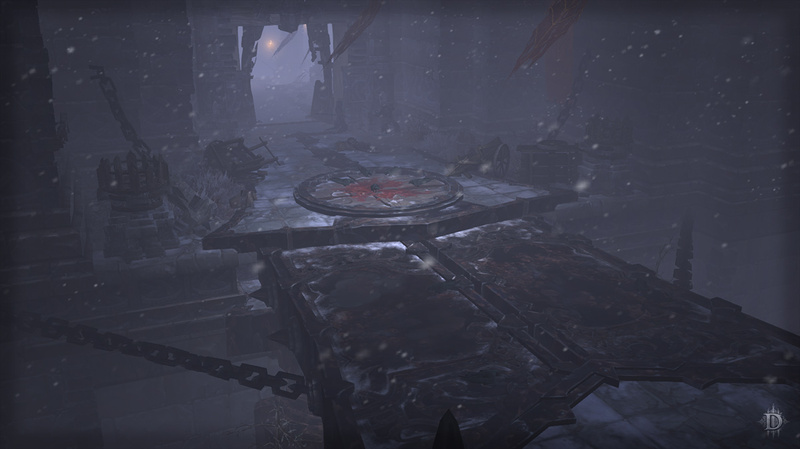 Be sure to talk to Zoltun Kulle before you begin your quest to find Kanai's Cube. 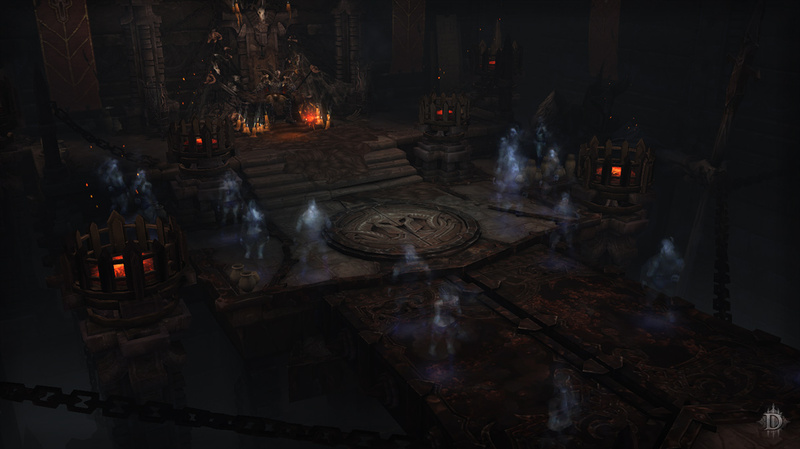 A word of advice: Take great care when exploring these dangerous ruins, brave nephalem, for the only thing darker than the suffocating sorrow surrounding these ruins is the shroud of death that hangs over it.